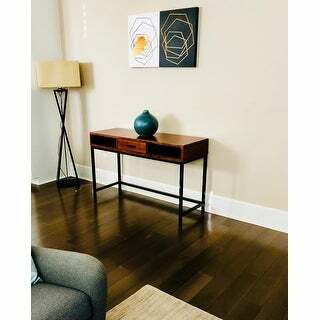 I purchased these two paintings to go above my console table and they worked wonderfully, for reference my home is contemporary/modern.This item shipped fast and the paintings are as beautiful as the picture very pleased with my purchase. 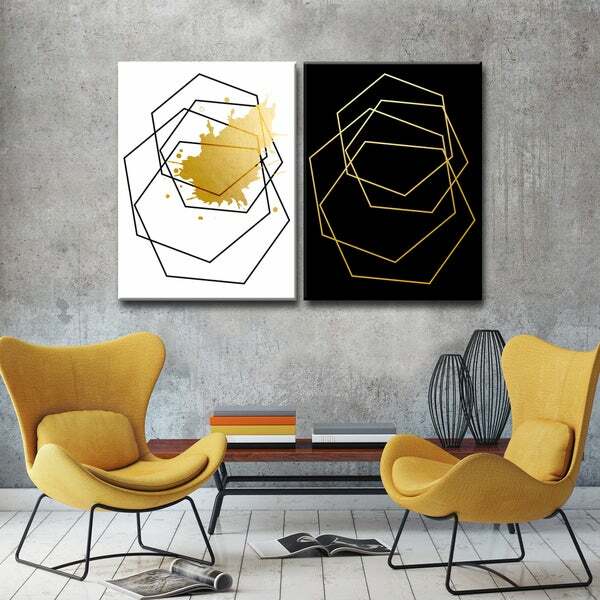 Add the finishing touches to your contemporary design with the Gilt wrapped canvas set from Carson Carrington. Incorporating white, black and vibrant gold hues, this engaging geometric design creates a bold contrast that brings the room together. These frames are amazing. They were my last addition to my guest room.. 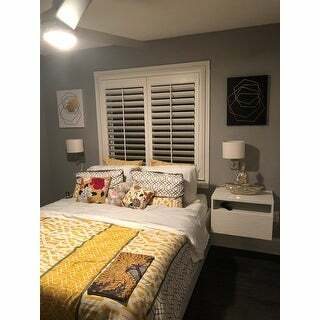 Most of the furniture is white and throws include yellow and gray. I added a black console table which makes the black frame fit right into place. They give the room a fresh chic modern look! Amazing modern appearance; however, the front facing pictures were shipped pressed together causing flakes of the opposite picture to be melted one another. I own a high end staging company in Tampa, Fl. I am always struggling to find high end art at a reasonable price. I ordered this piece and used on an office stage we had. They are absolutely stunning. Highly recommend. I originally had concerns with first order sent to me as the art appeared too small. But after speaking with customer service and reviewing all the sizes, I found what best fit my office and I love the look of it! The colors are crisp and bright and I love the gold accents. They go great with my office suite. 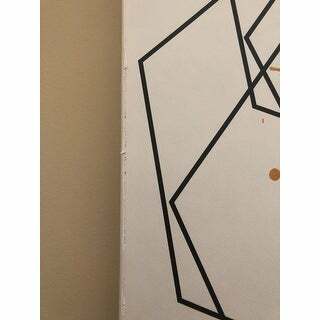 I really like horse modern canvas prints. Perfect color combination for a modern or mid century interior. Good quality for the price. A number of sizes are available for any size room or home. These pictures are so beautiful and can brighten up any room. I have mine in my bedroom and my finacee loves them. They're also light weight so you don't have to worry about putting anchors in the walls or anything like that. I was hesitant to buy these because of the price, but I was pleasantly surprised when I received them. They look really sharp and I now feel they are worth the price. I like the paintings. The picture here makes them appear large due to the chairs that are below the frames but they are much smaller. It looks good from far but def something you want to hang which is far. I recently opened up a spa and bought these artwork to add elegance to my hallway. All my customers rave about how beautiful it is.They always ask where I get it from so they can purchase it for their home. Must buy. I think it will look great in our living room. "Are the dimensions listed for each panel or both combined?" Yes, the dimensions are for each panel. "What size is shown in the picture ?" Each piece is approximately 16 inches high x 12 inches wide. If you hang them side by side, the overall dimension is approximately 16 inches high x 24 inches wide. "Can you tell me if overstock sells these chairs and what they are called?" Unfortunately no, the chairs are not available on our site. "if I buy 30 x 40 , is each individual panel size?" still not clear "Is each panel size? Or do both panels combined measure ? 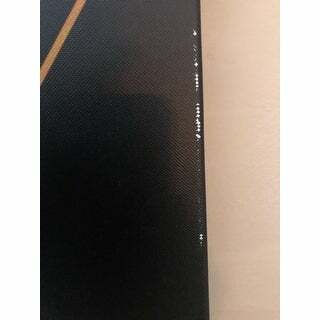 "Is each panel 40 x 60? Or do both panels combined measure 40 x 60?" I have the same question. Are the measurements given by Overstock combined or is each panel the size given? For example are the 30 H x 40 W combined? The height should be longer than the width if separate. Not sure..
Ottomanson Hot Peppers Runner Rug (20" x 59") - 20" x 59"